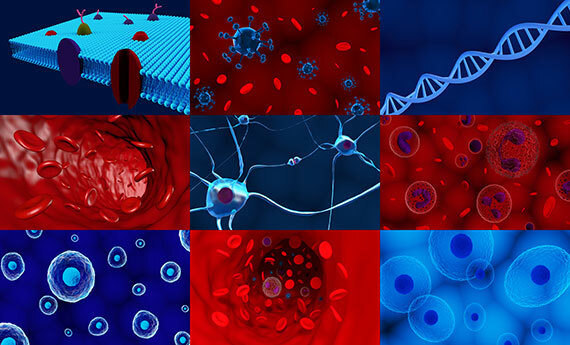 In Biomed graphics we combine scientific and research experience with designing skills and techniques. We have the knowledge and experience to understand what the people involved in the biomedical sciences need for their projects. We don't just focus on the creation of an artistic and aesthetically pleasing image, but we mainly strive for a scientifically clear and accurate end product. Contact us, describe to us your project and your needs, and we will create and deliver to you images that meet, or exceed your expectations. You contact us and describe the images you want us to design. We put together all the basic elements of the work and create preliminary images. With the help of your feedback, we complete the illustrations.